Saarlouis, Germany. November 20, 2018. ADVA (FSE: ADV) today announced that inexio has deployed its FSP 3000 CloudConnect(TM) with QuadFlex(TM) technology to tackle booming demand from business and residential customers. inexio, one of Germany's leading telecommunication providers, is deploying the solution alongside existing FSP 3000 AgileConnect(TM) infrastructure as part of a future-proof hybrid network. The upgrade boosts the capacity of inexio's transport system to 100 or 200Gbit/s across its entire network stretching over 6,000km. It also provides innate flexibility to grow to 400Gbit/s and beyond. Key to inexio's choice of solution was ADVA's ability to ensure a smooth migration to next-generation connectivity as well as a successful 10-year relationship between the two companies. ADVA's long-term Elite partner Axians Networks & Solutions GmbH also played a key role throughout the entire project. "Whether it's our residential QUiX service bringing high-speed broadband to homes in previously underserved regions or our high-availability data center services, we're experiencing rapidly rising demand across our entire range. Leveraging ADVA's high-performance technology in a hybrid solution enables us to meet customer expectations for higher capacity while getting the most value out of our deployed infrastructure," said Stefan Kreibig, head of fiber network and transport, inexio. "The advantage of the ADVA FSP 3000 CloudConnect(TM) platform is not only that it supports 200Gbit/s with a clear route to 400Gbit/s; it also offers superb density and phenomenally low power consumption. That enables us to provide more to our customers in terms of both capacity and value. Harnessing the most advanced technology to meet individual needs is always at the center of our decision-making. With ADVA's innovation and support, we can continue to deliver world-class tailor-made solutions." Covering all of southwest Germany, inexio's expanded backbone network includes seven active rings and 38 nodes, each with the coherent capabilities of ADVA's FSP 3000 CloudConnect(TM) QuadFlex(TM) line cards. This increases spectrum utilization and enables a single chassis to support multi-Terabit transmissions over long distances without the need for signal regeneration. 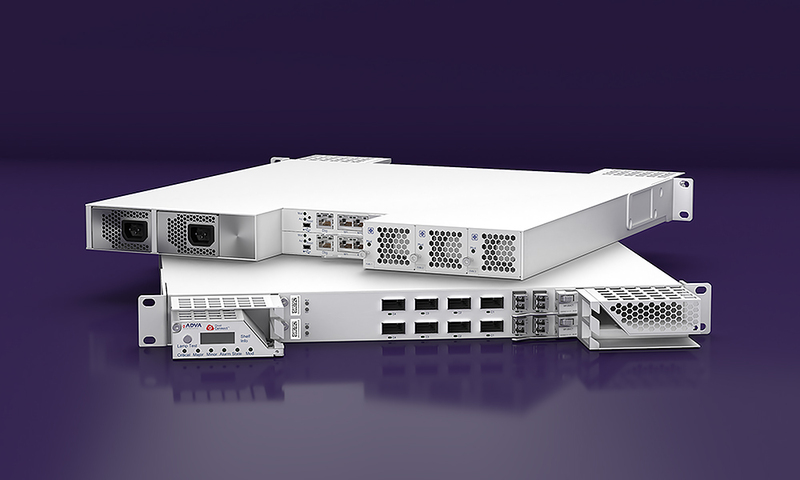 Designed for scalability and bandwidth optimization, the ADVA FSP 3000 CloudConnect(TM) platform also offers unrivalled efficiency. It delivers significant energy savings and, with its high-density 1RU design, occupies very little rack space. What's more, the solution features a modular design, ensuring that the new transport network is ready to scale whenever inexio's customers demand, protecting previous investments and enabling a smooth migration to ultra-high capacity. "We've developed a fantastic relationship with inexio over the past decade. When it came to demonstrating that we were best placed to evolve their infrastructure, that trust and mutual understanding was every bit as important as the capabilities of our technology," commented Josef Sißmeir, VP, sales, Central Europe, ADVA. "With this deployment, inexio is taking its network to a whole new level. Our FSP 3000 CloudConnect(TM) is all about secure, high-capacity connectivity ready to scale with the growing needs of enterprise and residential customers. It delivers unbeatable value today and the freedom to increase capacity as soon as it's needed. With this upgrade, inexio is ensuring that its customers' data and services are safe and always available both now and in years to come." "We were very pleased about inexio's decision to bring ADVA and Axians Networks & Solutions GmbH into this project as a team. Through our long-term partnership, cooperation went hand-in-hand. The success of this project shows that all sides benefit from that close relationship," said Volker Ofer, key account manager, carriers and service providers, Axians Networks & Solutions GmbH. Watch this video for more information on ADVA's FSP FSP 3000 CloudConnect(TM) technology: https://youtu.be/txK_JPw2bQM. A video on ADVA's FSP 3000 AgileConnect(TM) is also available here: https://youtu.be/nMMt5RouW7I. Axians Networks & Solutions GmbH specializes in the set-up of complex LAN and WAN infrastructures for carrier and enterprise customers. The system integrator's range of manufacturer-independent products and services ranges from solutions for broadband, optical networks, collaboration, mobility & wireless and datacenters, to managed & maintenance services. As a partner and service provider, Axians Networks & Solutions GmbH develops company-specific ICT designs that allow customers to cope with digital changes. Through its 180 employees, the network specialist can serve around 900 customers in Cologne and nine other locations across Germany. The company is part of Axians, the global brand for ICT solutions of Vinci Energies. www.axians.de. Predominantly based in Rhineland-Palantine, Bavaria, Baden-Württemberg and Saarland, inexio provides high-speed internet access to business and residential customers in underserved, primarily rural areas across Germany. The Company benefits from a state-of-the-art fibre optic network with over 6,000km of modern fiber optic lines and operates six wholly owned data centers, bringing customers both security and high performance. Over 6,000 commercial customers - from corporations to small and medium sized enterprises ("SMEs") - and over 100,000 households rely on the internet access provided by inexio. inexio's portfolio is complemented by a comprehensive range of IT services - from conception to development and operation of IT and internet solutions. For more information please visit www.inexio.net.